The Klon Centaur Professional Overdrive Guitar Pedal was spotted as part of guitarist John Mayer's extensive pedal collection. in a redit Q&A he said "the 1st gen jekkyl & hyde was my jam. i didn't like the ones that came after. lately i've been using the JHS color box and klon centaur for all overdrive sounds"
In 0:35 we can see silver Klon Centaur lying on the floor. A blog article explains how Wayne Sermon uses a custom built Centaur pedal: "It’s a long story as to how I got hooked up with Imagine Dragons, but last year I got the opportunity to build a custom Centaur clone for their guitarist, Wayne Sermon. He was putting together a new live rig from the ground up and wanted to include a Centaur, but didn’t want to give up the pedalboard real estate for his original unit. I designed a PCB that would fit into a 1590B-sized enclosure and then built the pedal with an almost antique-looking distressed finish. " "After I built the first one, he tested it against his real Centaur. He couldn’t hear any difference between them, and this one is about 1/3 the size, so the real Centaur got the boot. He then asked for another one for his secondary rig. So he actually has two of these now." The original blog article can be found [here](http://aionelectronics.com/blog/custom-centaur-pedal-for-imagine-dragons/). The Pedal Josh is using can be seen at 3:17. Right after that you can see its actually Josh playing the Guitar. "Everybody needs a Klon - if you can find and afford one! I wish I had the money and the knowledge when those things came out and bought all of them I could find. We've got three of those. I took them out of the pedalboard for about a week, and every day he kept saying 'something's wrong, somethings wrong!" Then once we went back to the Klon he goes 'there you go, that's what I was missing!' It's true, this is really a part of his sound. The Klon has been in his rig for probably at least ten years. It's been a while. When they found them they bought three, him and Brad each bought three. And so he's got all three of them. He's got his Klons. They're all the gold ones, all the exact same color. Brad, I think, has one without the horse. It's just maybe a little bit different color," says Joe Perry's guitar tech. Noel Gallagher shows his pedalboard (new as of Oct 2016) on his Instagram. In the top row, fourth from the right, is his Klon Centaur overdrive pedal. His Centaur appears to lack the centaur decal, and the labels for the knobs. The signal coming out of the pedalboard looks to be going into the first Vintage channel of his [Fender '68 Custom Twin Reverb Amp](http://equipboard.com/pros/noel-gallagher/fender-68-custom-twin-reverb). "It's been on his pedalboard for the whole time. I know he loves the Klon and it's a really, really great sounding pedal. A little bit on the noisy side for me - just a little hissy - but in between the hiss there are some really nice notes that come out of it. Sometimes it will be tune specific. Some songs will require a little bit more drive than others. It's kind of because he rides the volume part quite a bit that whatever is closest to max, he's going to want to have that setting to a certain point. So then he can gauge the sensitivity on the guitar," says Jeff Beck's guitar tech. Urban's Klon Centaur can be seen on top of the amp through the entire video. A Klon Centaur Professional Overdrive pedal can be seen on Joe's pedalboard at 4:06 in this gear rundown video. As seen on the video at 6:57. At 2:55 in this "Rig Rundown" with *Premier Guitar*, Brian Farmer, Warren Haynes' guitar tech, points out a Klon Centaur while outlining Warren's pedals. A Klon Centaur pedal can be seen on Brad Whitford's pedalboard at 1:35 in this video. 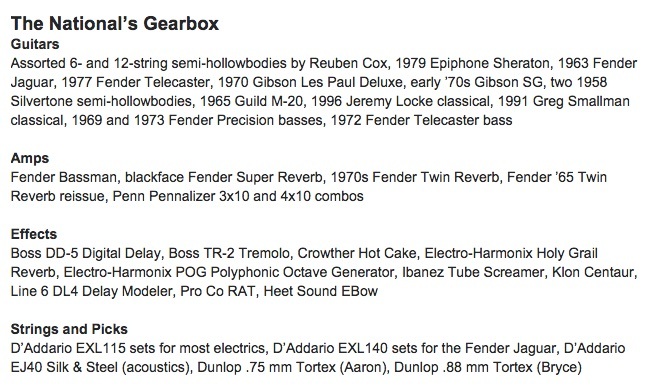 In this [artical](http://proguitarshop.com/andyscorner/the-guitar-gear-of-pearl-jam), Stone Gossard of [Pearl Jam](http://equipboard.com/band/pearl-jam), [Temple of the Dog](http://equipboard.com/band/temple-of-the-dog), [Gossman Project](http://equipboard.com/band/gossman-project), [Mother Love Bone](http://equipboard.com/band/mother-love-bone), has been seen rocking his Klaun Centaur overdrive pedal. Ed's Klon Centaur can be seen clearly at 8:03 in this video. "I've got the Klon Centaur that I've had for years and love it. It's just the one for me. It works for me." - Frampton about Klon Centaur at 51:00 minute mark. 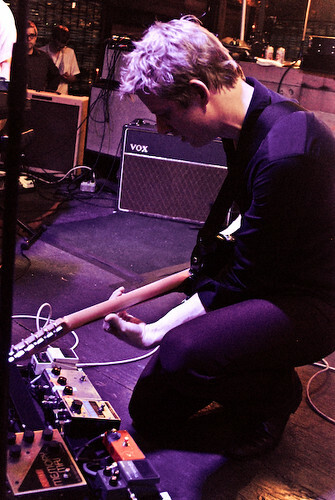 In this photo, which shows Britt Daniel with his partially shown pedalboard, one pedal that can be seen is the Klon Centaur. "I have a Klon in there—more or less most of the clean stuff will have a Klon on it just to prop it up, to make it sound a bit nicer. I know a lot of people are skeptical about Klons, but personally I think you struggle to find an overdrive that sounds that nice, especially in the low mids. Maybe I’ve got swept up in the hype, but I think it’s worth the money I paid for it"
A Klon Centaur is among many pedals used by Aaron and his brother Bryce according to [this article from *Premier Guitar*](http://www.premierguitar.com/articles/The_National_Playing_With_Metaphors?page=4). Police guitar tech Dennis Smith explains Andy's rig during the Police's 2007/2008 reunion tour in [this article](http://guitarinternational.com/2010/03/15/andy-summers-talks-about-guitars-the-police-and-mudra-hand-gestures/). There are, in fact, two Klon Centaurs in his list. this was posted to his band's instagram account. 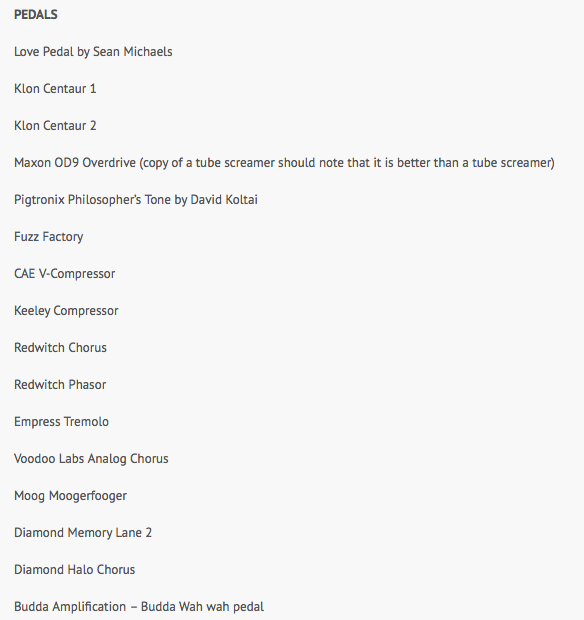 I use mainly the Klon Centaur and I use a Maxon SD-9 and a Fulltone PlimSoul. Those are my three favorite distortion pedals. 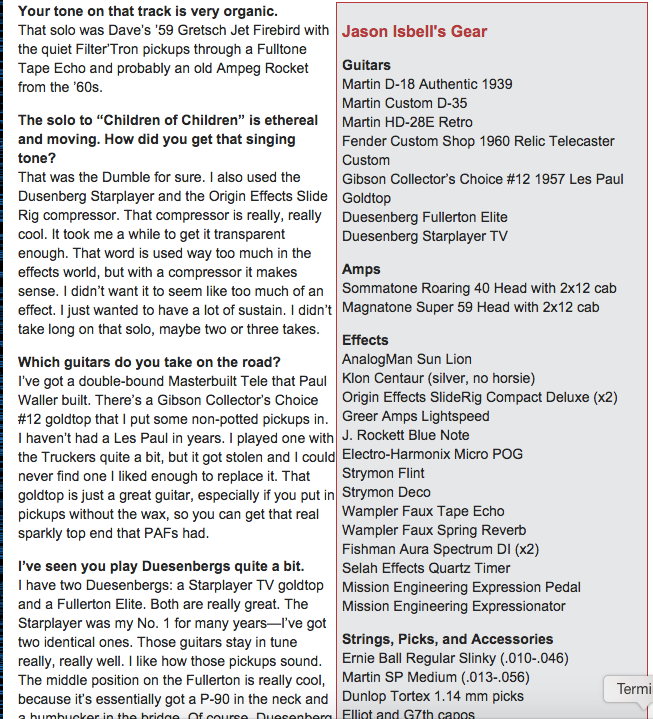 In an article for Vintage Guitar Magazine in September 2010, Steve states that he uses a Klon Centaur I Overdrive Pedal when playing his Gibson guitars. Jason is one of the lucky ones to have a Klon Centaur. [Source](http://www.premierguitar.com/articles/22913-jason-isbell-brand-new-day?page=2). In this 2014 interview he says that he's using a Klon Centaur. > Bill Finnegan brought the early model of that to me around the early ’90s. I loved it so much that I ended up with three of them, which represents my retirement savings now that they’ve gone up in value. "Dude knows his stuff. And his tone? Fantastic. Utilizing a host of pedals–including a silver box Klon Centaur and an Earthquaker Devices Rainbow Machine–and an older Tone King Meteor powered by a quartet of 6V6s, Benji culled some breath taking sounds out of his choice vintage guitars. He employed a 1951 two-pickup Fender Esquire, a quirky-cool late 50’s Guyatone LG-60 and a vintage Epiphone 12-string." "A pair of pedalboards with a few essential stomps helps Carrabba balance his acoustic and electric duties. His electric board holds a TC Electronic PolyTune 2 Noir, MXR Micro Amp, and a coveted sliver Klon Centaur. A Whirlwind Selector A/B box splits the signals and a Voodoo Lab Pedal Power 2+ provides the juice," reads [this](http://www.premierguitar.com/articles/22686-rig-rundown-dashboard-confessionals-chris-carrabba) Premier Guitar rig rundown. "I put it through a Klon Centaur [overdrive] pedal that Joe had. Whenever I wanted a gain boost on a lead, the pedal seemed to be exactly what I needed"
Evan Weiss '#iioilp3' He has two Klon Centaurs which he has been using for Into It. Ovet It.s' 3rd album to be released soon. According to Hay's 2011 pedalboard photo, one of the pedals he was using back then is the Klon Centaur overdrive. Located top row of his pedalboard. In this Music Radar [article](http://www.musicradar.com/guitarist/guitarist-photo-diaries-the-butterfly-effect-@-bristol-academy-2-11-5-2009-244314/) about The Butterfly Effect's live performance at the Bristol Academy in 2009, a photo of Kurt Goedhart's pedal board shows his Klon Centaur Professional Overdrive Guitar Pedal. On Matt Schofield's [website](http://mattschofield.com/gear/), he says, "After that, for a long time, I used a Klon Centaur as clean boost." 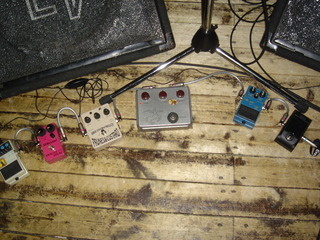 A Klon Centaur Professional Overdrive pedal can be seen in this photo of Jim's pedalboard, found on his [website](http://www.jimcampilongo.com/about/gear.php). 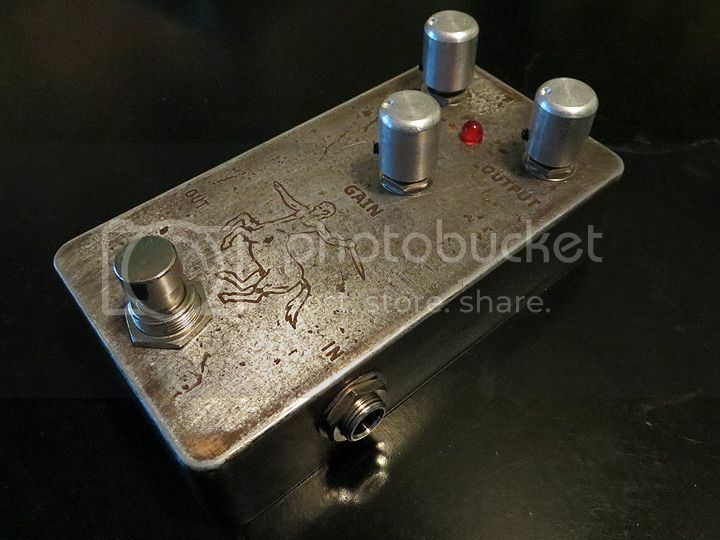 According to 2009 Premier Guitar article, one of the items Grissom used back then was the Klon Centaur overdrive guitar pedal. According to Strymon's pedalboard feature article, Gavin uses the Klon Centaur Professional Overdrive Pedal. Klon is proudly displayed atop the pedalboard throughout the video, as is fitting for such a prize. At 18.35 in this video Mike talks about his "secret" pedal. It is either a Klon that has been disguised or it's a copy of a Klon or perhaps even a custom pedal modelled on a Klon Centaur. Whatever it is, it's like a Klon. 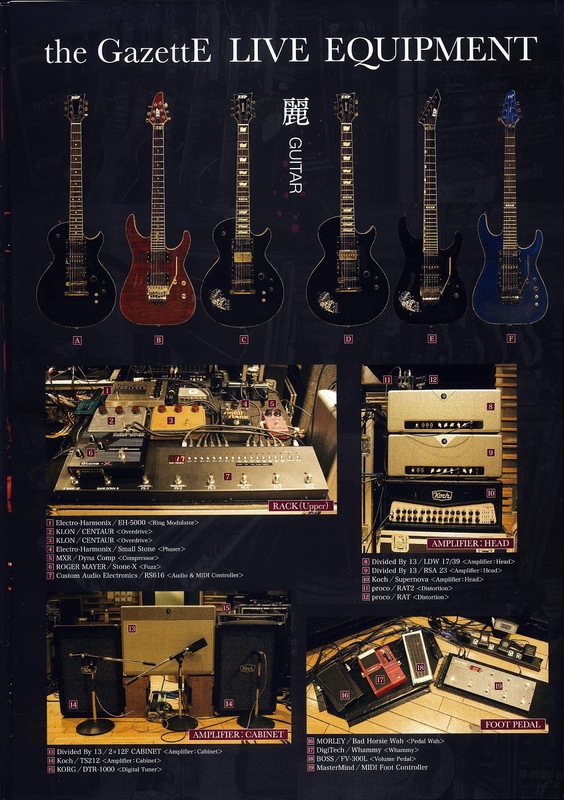 http://www.premierguitar.com/articles/23095-rig-rundown-social-distortion-2015 This article describes it as a "Klopy". The holy grail of overdrives. According to Premier Guitar, Ellman uses the Klon Centaur overdrive pedal. Greenberg bought the Klon Centaur back when they weren't 1800 dollars each. He used Rockett Archer pedal before, but he replaced it with this pedal. Hisako is well-known as a Klon Centaur enthusiast. This is a picture of her pedalboard, featuring a silver Klon. At the 23:03 mark, Mick does an AB comparison between his silver Klon overdrive and the Keeley D&M Drive. There are myths and arguments that have made there way to all corners of the gear nerds universe about this pedal. You know what it does. My personal view: It adds a certain 3 dimensional quality to your tone that other pedals just don't have. It really makes notes jump out of your amplifier. And it has a very specific midrange EQ to it that really makes the notes sing. That's why I like it. Yeah, the Klon ain't bad. Wish I had kept the one I bought in the late 90s. I could use the money now! Oh well. This thing sounds amazing. If "Transparent" OD is your thing, this is king, but the price is insane. There are less than $100 in parts in here so build your own. $1800 avg used price is BS. This pedal is a tone legend though. best overdrive in the world... I had to save up for a while but it is so worth it!!! what'd you pay for yours? silver or gold? Only guitarists would pay $2000 for $5 bucks circuits! There's only one word I would tell you!